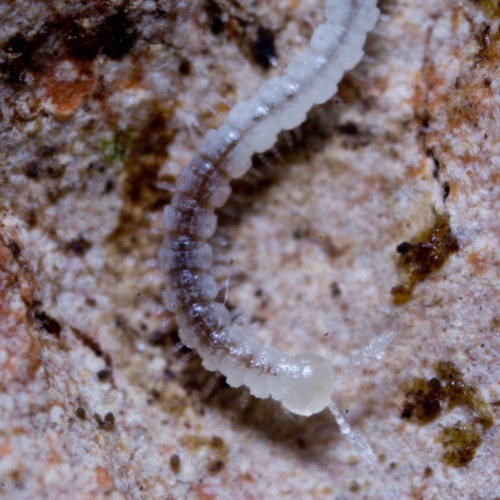 A small white millipede (to 4 mm in length) with body covered in small bumps. Associated with churchyards and cultivated land such as allotments, gardens and parks. This species has proved to be widespread in Britain and Ireland. It is apparently absent from much of northern Scotland, north Wales and south west England.